On this day, 100 years ago, something truly exceptional happened. The guns fell silent across Europe, and World War 1 came to an end. Beginning in 1914, the Great War, as it was known due to its size, killed an estimated 37 million people, both those fighting and those at home. Unfortunately, this 'war to end all wars', did not live up to that name, as 21 years later, World War 2 would commence in 1939, lasting six years before it ended in 1945. Today, on this Remembrance Day, a century after the gunfire stopped, we honor all those who have given their lives for the universal sense of freedom, and all of those who at some point in their lives, helped to preserve our way of life. Here are five WWE Superstars who served in the military. 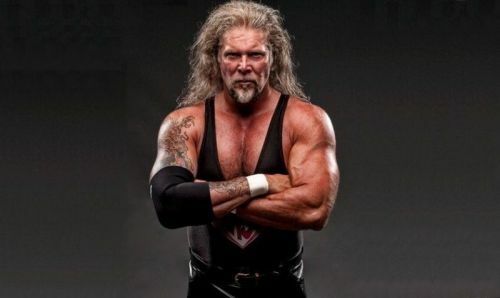 Kevin Nash has something of a complex relationship with the WWE Universe. Some see him as one of the most interesting and talented big men of all time, whilst others see him as a factor behind the downfall of WCW. But before entering the squared circle, Nash would play NCAA Basketball, even in Europe. After an injury ended his sporting career, Nash joined the U.S. Military. The man who would later be known as Diesel joined the 202nd Military Police Company, and was later stationed at a NATO facility. After serving overseas, the 7-footer would return to the U.S. and begin a successful career as a professional wrestler. Joining the WWF in 1993, it wasn't long before Big Daddy Cool would taste championship gold, including winning the WWF Championship at a house show in 1994, the last time the title changed hands at a non-Televised event. His accolades led to Nash being very rightly inducted into the WWE Hall of Fame in 2015.